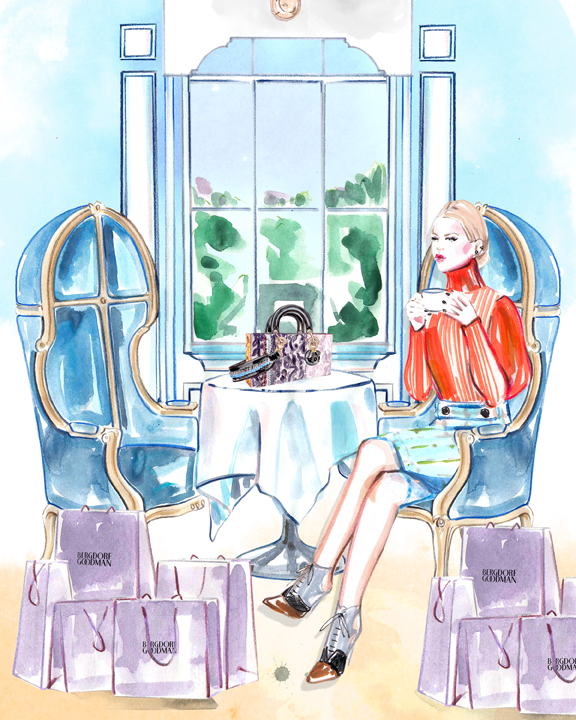 Travel Write Draw: Illustrating for Dior x Bergdorf Goodman!! 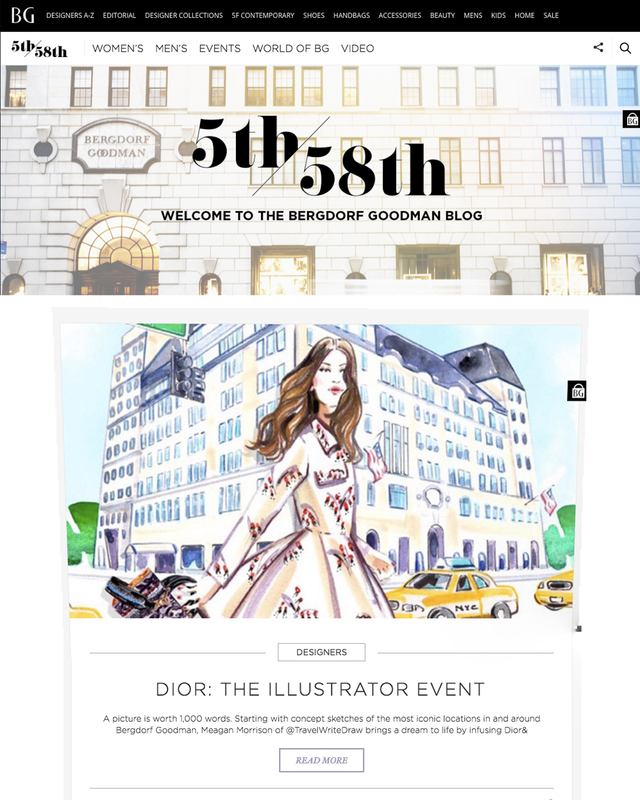 Illustrating for Dior x Bergdorf Goodman!! 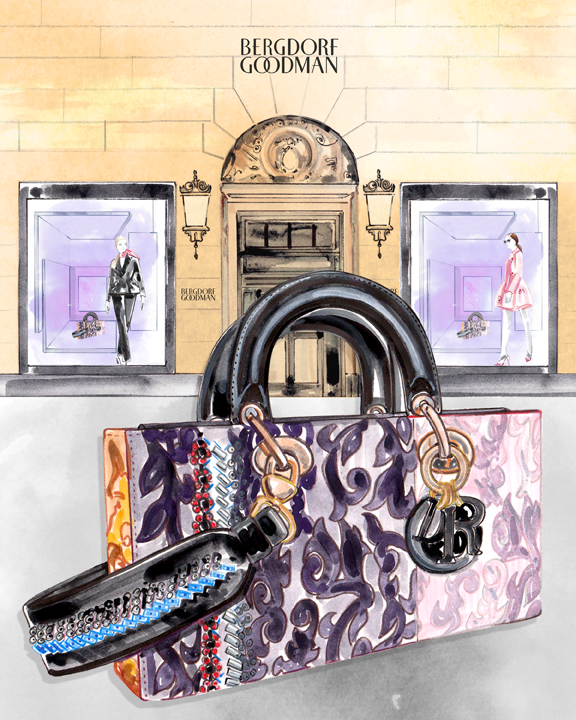 I'm over the moon to finally share with you that I'm partnering with Dior in celebration of their exclusive Winter 2016 Fashion Show Bag at Bergdorf Goodman!! I have been working on this project in secrecy since May of 2016. Can you imagine trying to keep this in for that long?! 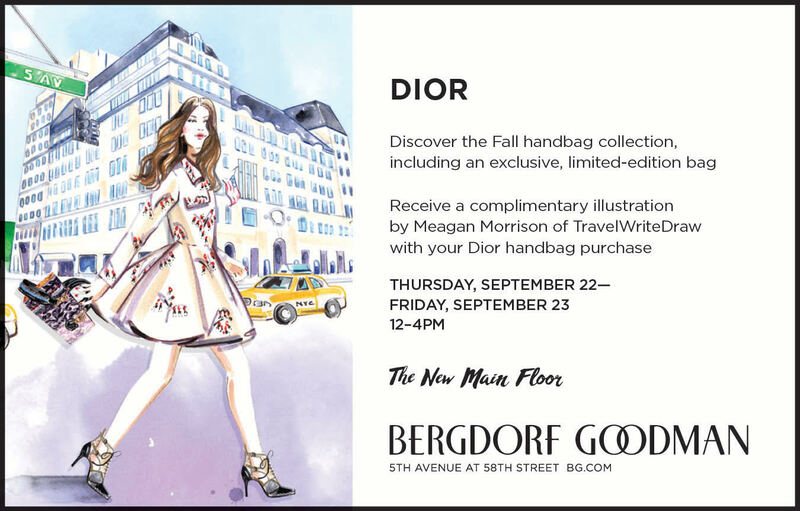 I produced 3 custom illustrations to promote the event and I'll be doing live fashion portraits Sept 22-23 from 12-4 PM as a gift with purchase. I always get so excited seeing my artwork married with the brand logos and type for an official invitation. If you live in NYC, do not hesitate to stop by. I would love to meet you!! More to come. Did you do this like with a computer program or with the hands. The bags are great. I really want them. The bag and the attire go perfectly hand in hand.